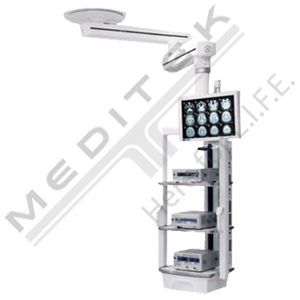 Skytron’s anesthesia tether features one dual arm set from a single ceiling-mounted hub. 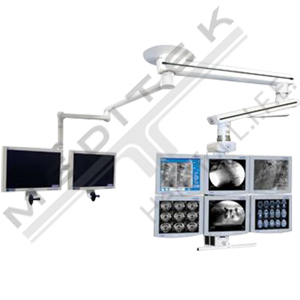 Contact us for your quote. 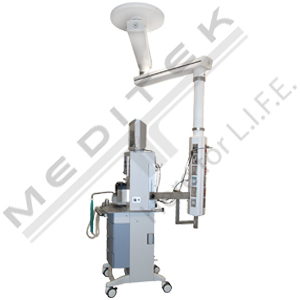 The lower arm of the anesthesia tether supports one 36” vertical utility box that features 28 outlets. 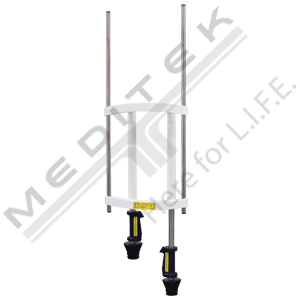 When combined with any one of our optional anesthesia tether brackets, the vertical utility box can be conveniently attached to any type of anesthesia machine. 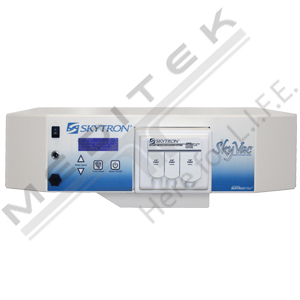 This configuration allows you to effortlessly connect the anesthesia machine to the necessary utilities without impeding cords and hoses.